This was a much more complicated job than I expected it to be! The following procedure is done on CentOS 6, so will be the same for Red Hat Enterprise 6. 3. 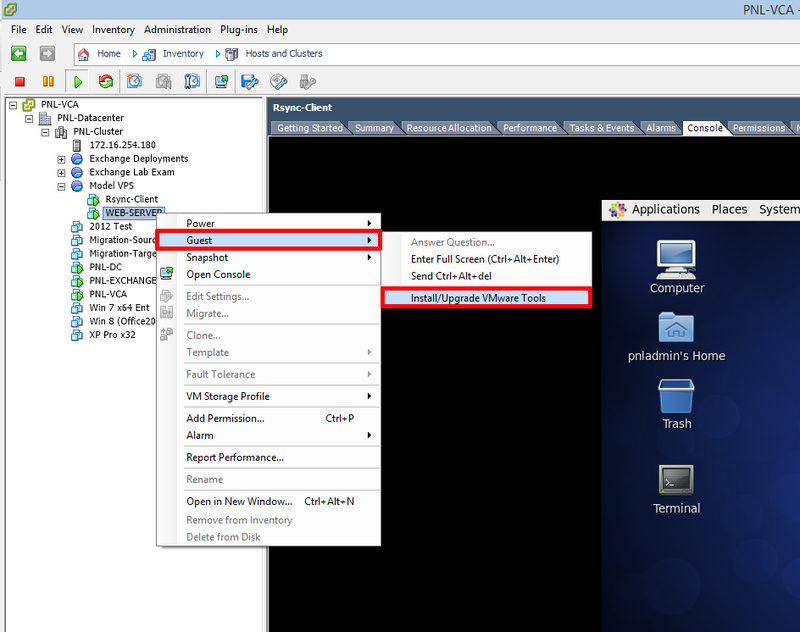 Then present the VMware tools CD to the virtual machine, by connecting to the VI client > right click the VM > Guest > Install/Upgrade VMware tools.